The Danging Plague of 1518: Why did people in Strasbourg dance themselves to death? The story of the Dancing Plague of 1518 is both mysterious and macabre. It happened in the city of Strasbourg, then a part of the Holy Roman Empire (now northeastern France). 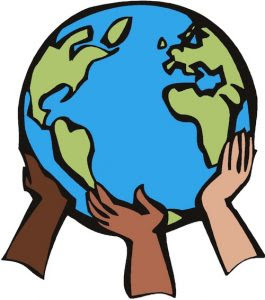 The Dutch scholar,and social critic, Erasmus, visited the city in 1514 and described it as "a monarchy without tyranny, an aristocracy without factions, a democracy without disorder, prosperity without luxury, happiness without insolence." However, despite Erasmus' favourable portrayal, of early 16th century Strasbourg, there was a much darker side to life in the city and its surrounding area. Prior the dancing plague of 1518, the region was hit by a number of terrible afflictions that turned it into a place of misery. 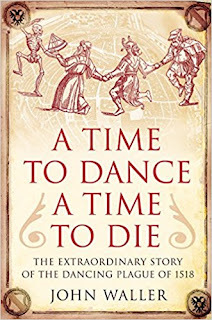 According to John Waller, author of two books on the subject - A Time to Dance, A Time To Die: The Extraordinary Story of the Dancing Plague of 1518 and Dancing Plague: The Strange True Story of an Extraordinary Illness - hunger and disease were rampant. In mid-July of 1518, Frau Troffea, a resident of Strasbourg, suddenly began dancing in the street for no apparent reason. There was no music associated with her dancing. Before long, however, she was joined by others and they were all dancing wildly in the searing summer heat. They danced for days without rest. Within a week, 100 people were consumed with an uncontrollable compulsion to dance. Within a month, the number of dancers in the city had swollen to 400. They were loaded onto wagons and brought to a healing shrine. Many died from exhaustion and heart attacks. the madness did not subside until early September. 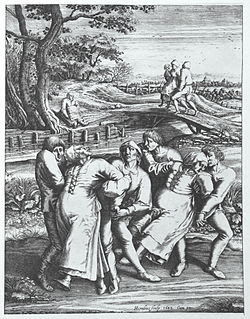 Waller, a professor of the History of Medicine at Michigan State University, points out that this was not the first outbreak of a dancing frenzy in Europe. There had been about ten dance epidemics prior to 1518. One in 1374 swept over many towns located in present-day Belgium, northeastern France and Luxembourg. However, the 1518 outbreak is the best documented and probably the final one to occur in Europe. The dancing plagues may seem quite bizarre and difficult to believe, but there is plenty of evidence that they happened. Waller contends that there is documentation from "scores of physicians, chroniclers, monks and priests." He says that during the time of the 1518 epidemic, municipal orders were written by nervous Strasbourg authorities. How can the Dancing Plague of 1518 be explained. What was the the cause of such mass hysteria? Was a it a genuine illness? Was it some kind of social phenomenon? According to John Waller, one popular theory has been that the dancers had accidentally ingested ergot fungus, a psychotropic mould that grows on stalks of rye. However, Walker dismisses this theory, pointing out that although Ergotism can cause delusions and spasms, it cuts off blood supply to the hands and feet, making coordinated movement very difficult. Professor Waller thinks it is plausible that the dancing outbreak of 1518 was caused by mass psychogenic illness (MPI), a symptom of mass hysteria that is brought on by the horrific conditions that were experienced in Strasbourg at that time. 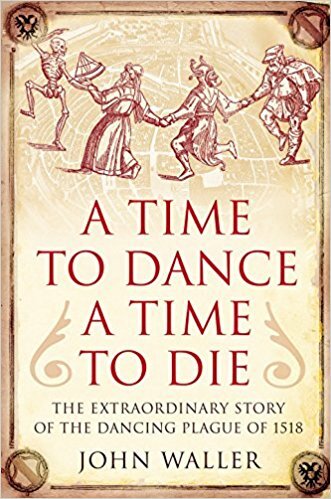 In a September 2008 BBC article entitled "Dancing Death," he asserts that "the poor of Strasbourg were experiencing famine and disease and spiritual despair on a scale unknown for generations." According to Waller, the dancer were in a trance state. Otherwise, he argues, they would not have been able to dance for such lengths of time. Trances more often occur in people who are in extreme psychological stress, as were the people of Strasbourg, and in people who believe in spiritual possession. Waller believes that those conditions were met in the city of Strasbourg in 1518. He tells us that many people in the city were devotees of a saint called St. Vitas. Christian legend holds that Vitas, a Sicilian, died as a martyr in 303 A.D during the persecution of Christians by co-ruling Roman Emperors Diocletian and Maximian. People in Strasbourg believed that if anyone aroused the anger of St. Vitas, he would take over their minds and bring down plagues of uncontrollable dancing. Once they anticipated the St. Vitas curse, says Waller, it increased the chances that they would enter into a trance-like state. One they entered a trance-like state, they played the role of the accursed and possessed, dancing crazily for days at a time. John Waller sums up his conclusions about the Dancing Plague of 1518 with these words: " So the epidemic, I argue, was a result of both desperation and pious fear." St. Vitus is regarded as the patron saint of actors, comedians and epileptics. He is believed to have been only 12 or 13 at the time of his death. During the Middle Ages, people in places such as Germany and Latvia danced before his statue.